Montreal, QC, January 17, 2019 – Montreal-based Investel Capital Corp (Canada) (“Investel”) announced today that on January 13, 2019, Investel along with Teliphone Corp, TNW and a number of affiliates, entered into a binding settlement agreement (“Settlement”) with Bond Mezzanine Fund III Limited Partnership and Bond Capital Fund V Limited Partnership (“Bond Capital”). All aspects of the Settlement are expected to close before the end of the month. The terms and conditions of the Settlement are confidential and the Settlement ends more than 2 years of legal disputes between the parties. The Settlement paves the way for Investel, Teliphone Corp and TNW to launch actions to expeditiously recuperate certain telecom assets which have been at the center of a dispute under a Companies’ Creditors Arrangement Act process (“CCAA Process”) related to 8640025 Canada Inc. (Petitioner). This includes: assets that were purportedly sold and vested under the CCAA Process but which Investel contends were not owned by the CCAA Petitioners and so should never have been included in the CCAA Process, assets which have not properly been paid for as per the associated Sale and Vesting Order and therefore need to be returned to the Petitioners or their proper owners, and assets for which ownership is still disputed. Should Investel, Teliphone Corp and TNW be successful in final recovery of the assets, the parties will be free to complete a transaction to transfer these assets to United American Corp (“UnitedCorp”) (OTC: UAMA) and these assets will form part of UnitedCorp’s future wireless operation under a previously announced agreement to acquire TNW Wireless Inc. (TNW Wireless). Investel will also begin the process of assessing the level of damages it incurred during the CCAA Process that it alleges would have been caused by Ernst & Young. Investel believes Ernst & Young acted inappropriately by accepting the role of the Court-appointed Monitor while at the same time acting as a Commercial Financial Advisor to Investel (and its ownership) as owner of the Petitioner, all while essentially being funded by one of the creditors. Investel believes that this multiple role compromised Ernst & Young’s independence as the Monitor and that Ernst & Young used its power granted as the Monitor to skew the CCAA Process in a specific direction to its own benefit and to the detriment of Investel and its affiliates. Since August 2017 the two actions in this matter initiated by Investel and its affiliates, which went to the British Columbia Court of Appeal, and both were decided unanimously in favor of Investel and its affiliates and against Ernst & Young. While TNW Wireless (formerly known as RuralCom Corp) is external and independent to this CCAA Process, both Bell Mobility Inc (“Bell”) and Telus Corporation (“Telus”) cited the unrelated process in partial defense of their decision not to enter into the mandated wireless national roaming agreements, which wireless operation was to be part of a plan of reorganization of 8640025 Canada Inc. Last month the cellular mobile licensed spectrum transfer to TNW Wireless was approved by Innovation, Science and Economic Development Canada (ISED) and the company is currently awaiting a decision from the Canadian Radio-television and Telecommunications Commission (CRTC) regarding relief it seeks against Bell and Telus to provide TNW Wireless with mandated wireless roaming agreements as well a decision related to the use of its iPCS communications technology. The CRTC Part 1 Application is based on Bell and Telus’ refusal to date to provide TNW Wireless with roaming agreements as mandated by CRTC Decision 2015-177. “We are very pleased with this amicable out-of-court settlement with Bond Capital, which helps to support our position with respect to ownership of certain telecom assets in the CCAA process and removes any challenge to our intellectual property. The agreement allows us to move forward undistracted with the development of our business and the various transactions that have already been announced,” stated Benoit Laliberté, President of Investel Capital Corp Canada and CEO of UnitedCorp. Investel Capital Corporation is an investment fund specializing in the acquisition of telecommunications companies and development of new technologies. It focuses on investing in the development of new technologies with its own R&D resource group and currently has a portfolio of patents filed worldwide. TNW Wireless is a licensed wireless operator for wholesale and retail services in Canada and is a wholly-owned subsidiary of Investel Capital Corporation Canada. The company currently holds 25MHz bandwidth tier-2 850 MHz licences and is a registered wireless carrier. It provides global communication services to the Northwest region of Canada as well as global communication services through its proprietary iPCS Smartphone-over-IP technology. 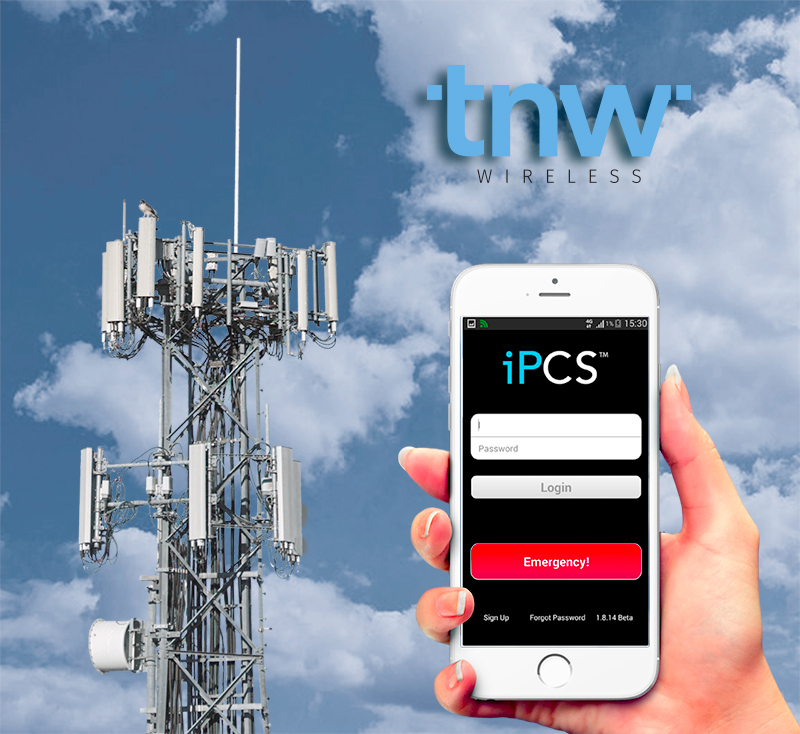 iPCS is an international patent-pending IP-only mobile technology licensed by Investel Capital Corporation to TNW Wireless and is one of the cornerstones for a new mobile telecommunications paradigm. Fueled only by data while providing full featured voice and messaging services, it is fully cloud-based with a thin client interface which provides enhanced security and advanced mobile features. iPCS is a login-based vs IMSI-based technology for access to mobile services, meaning phones can have multiple users and profiles – and users can access their iPCS profile from any iPCS-enabled phone. Data usage is tied to the active iPCS user profile and not to the device or SIM card, and there is a seamless handover to/from Wi-Fi and 3G/4G/LTE for voice calls. When connecting to any Wi-Fi in any location, the unique iPCS Wi-Node function automatically deregisters and detaches a subscriber’s device from any Visited Public Mobile Network (VPMN) roaming partner and then backhauls all GSM-based services to TNW’s Home Public Mobile Network (HPMN) cloud spectrum and core network. The deregistration process means that subscribers are never roaming while on Wi-Fi as no third party licensed spectrum is used and only TNW’s licensed spectrums are used remotely on TNW’s HPMN while users are on Wi-Fi anywhere in the world– this has the added advantage of increasing the battery life on many phones since cell radios are automatically deactivated and therefore will not consume additional radio power.